World-renowned naturalist, artist and writer Ernest Thompson Seton was born in England. In 1882, he joined his brother on a homestead near Carberry and began to keep scientific records. The nearby hills later became the setting of some of his most famous stories, including “The Trail of a Sandhill Stag” and part of “Wild Animals I Have Known”. Appointed naturalist to the Manitoba government in 1892, he founded the Woodcraft League and became the first Chief of Boy Scouts of America. He moved to Santa Fe, New Mexico where he founded the Seton Institute in 1930 and there spent the rest of his life. 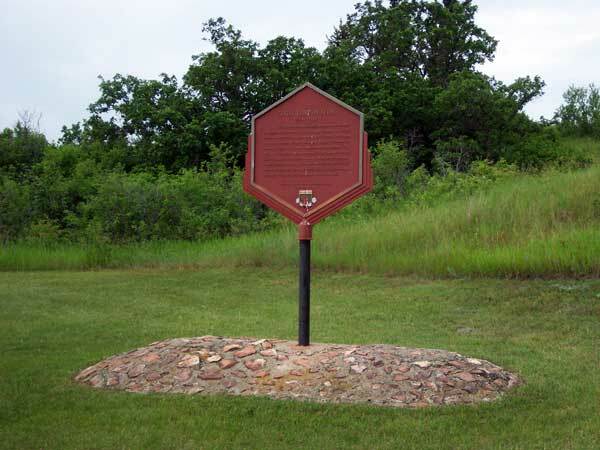 This plaque in Seton Provincial Park along the Trans-Canada Highway, in the Municipality of North Cypress-Langford, was erected in 1959 by the Historic Sites Advisory Board of Manitoba.